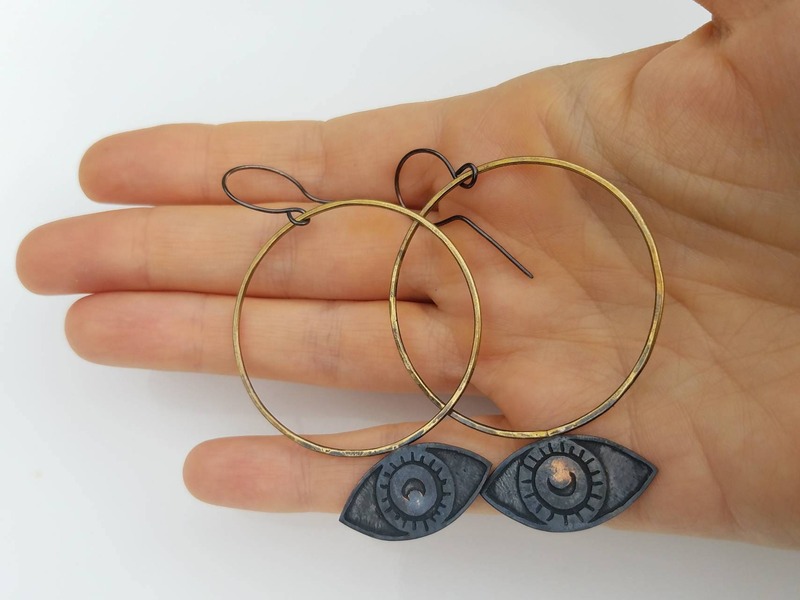 I cut out the eye shapes by hand and etched the details into the surface of the copper. 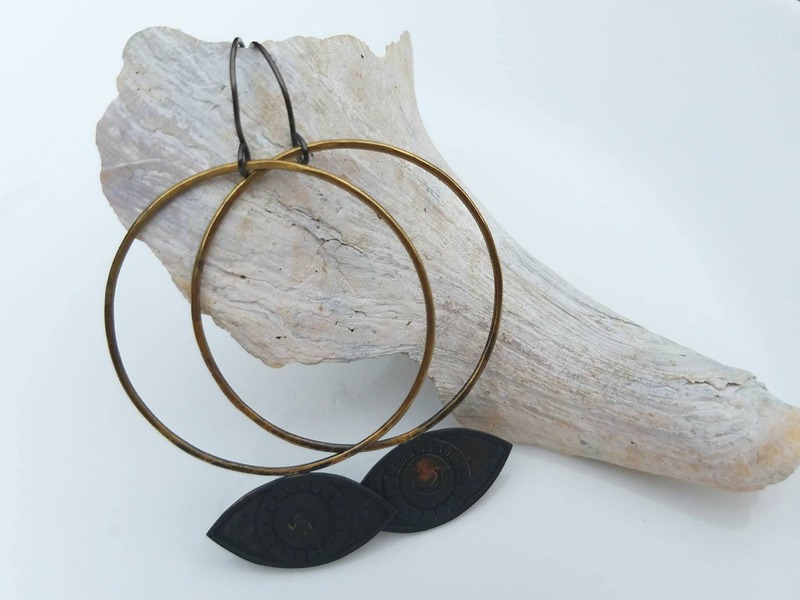 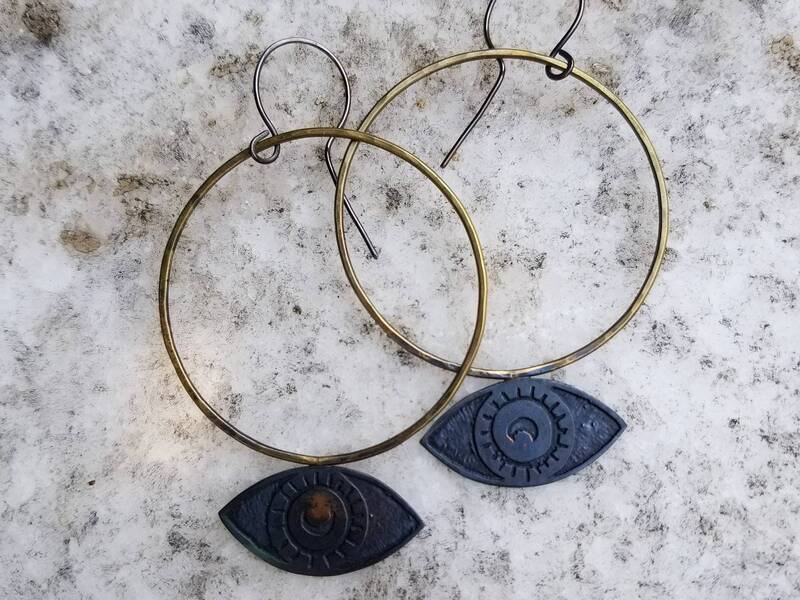 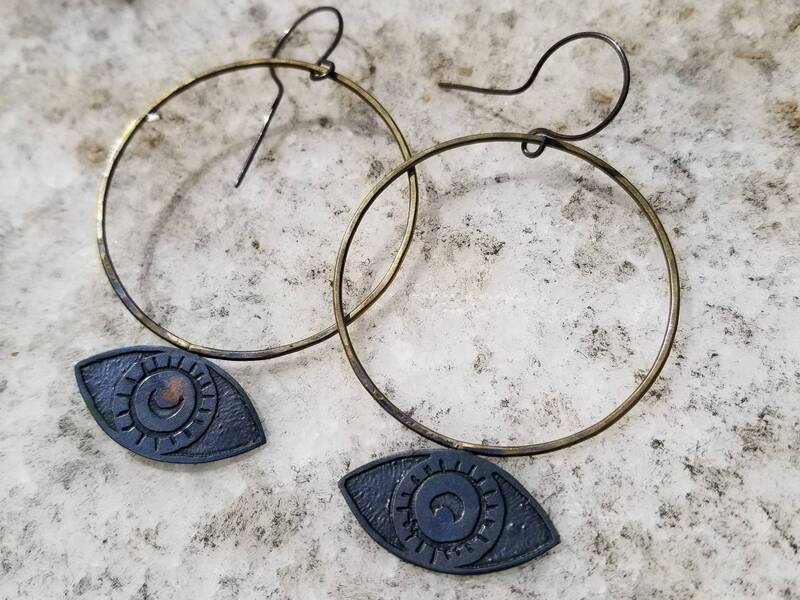 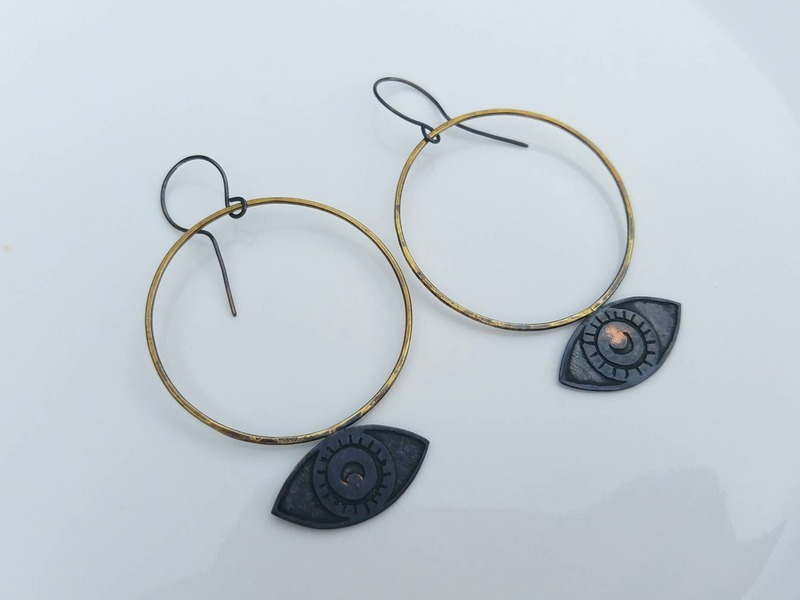 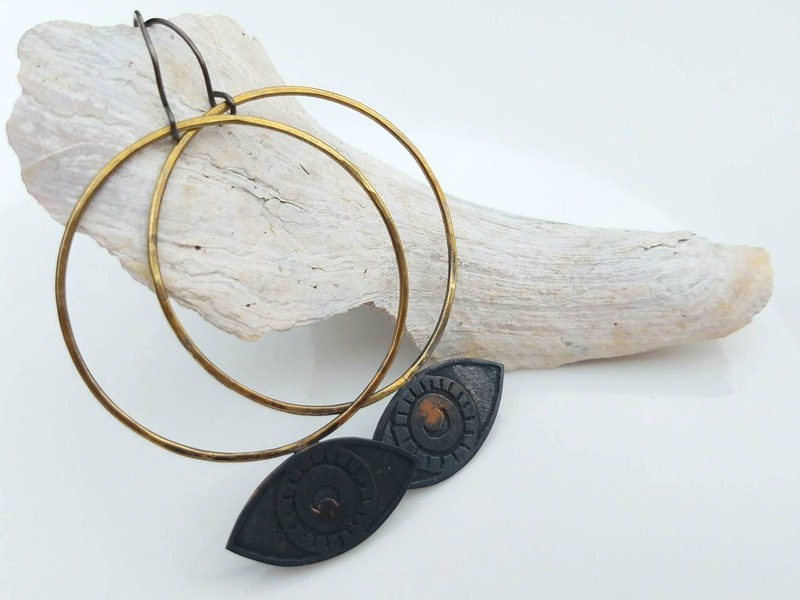 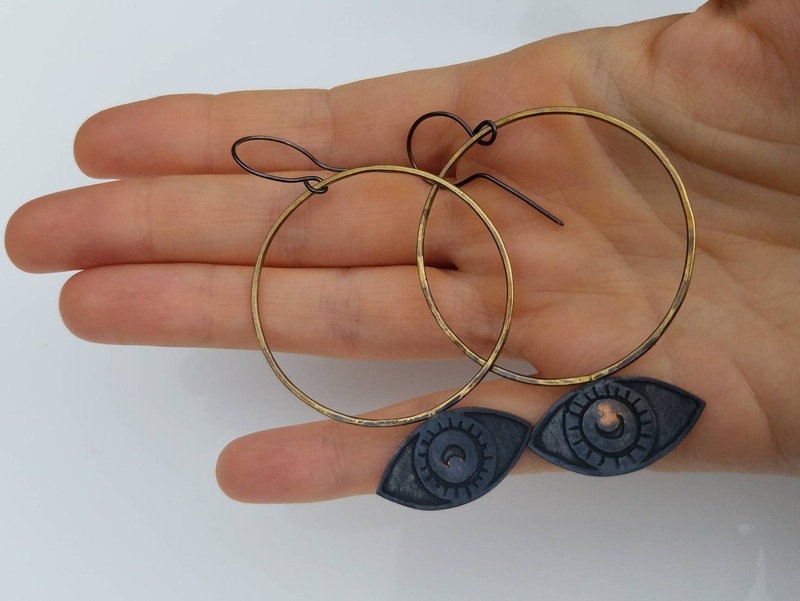 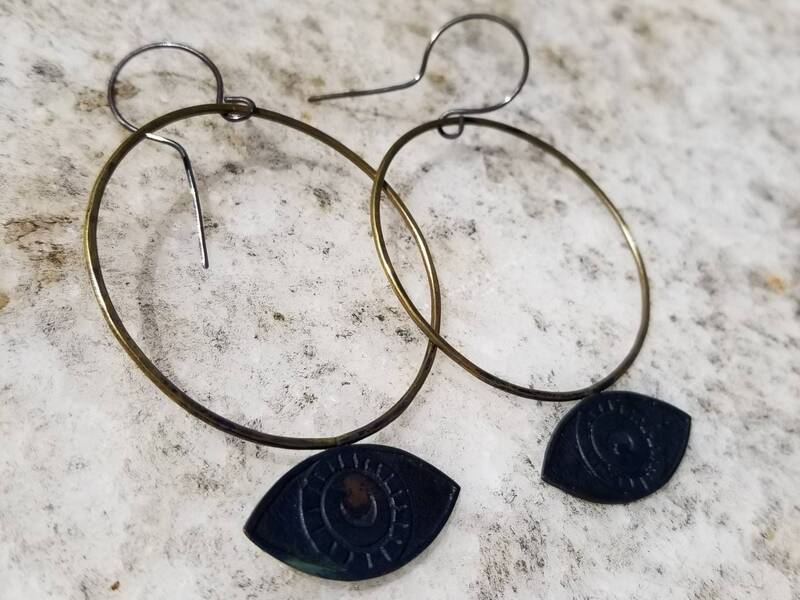 I created the light weight hoops out of brass and gave them a subtle hammered texture. 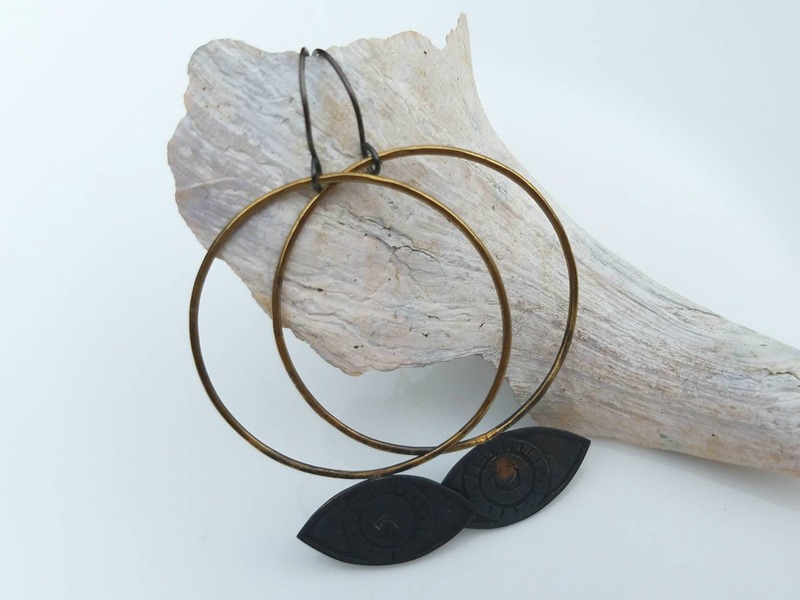 The hoops hang on hand made sterling silver ear wires. 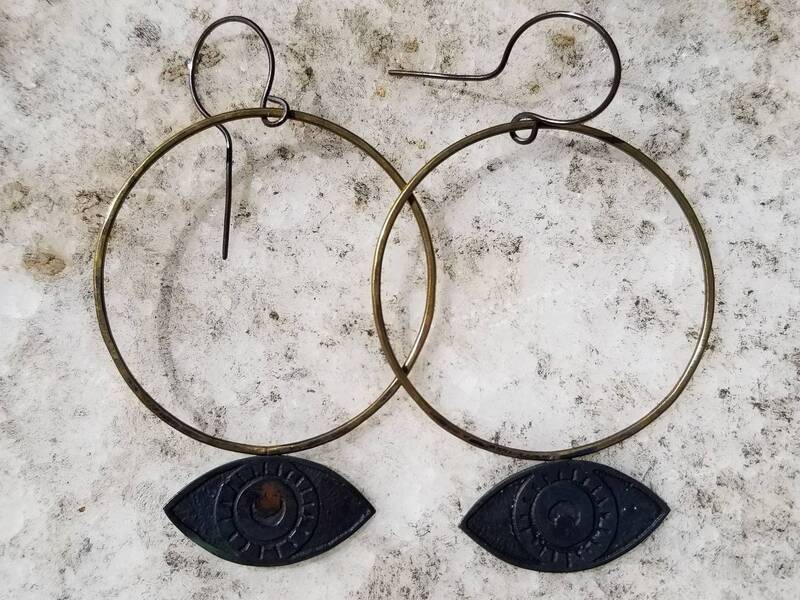 These earrings are just under 2.5 inches long and one of a kind.